I just have to say that I feel very awkward at the moment. Sitting in my nutrition class, a girl in my class kept looking over my shoulder and commenting on all my pictures. Um. Please keep your eyes on your own stuff. Mmmkthanks. I don't mind people reading my stuff or admiring my photos (JK) but when I'm sitting there, that is a little bit different. Also I'm not going to lie, taking these pictures are also a little awkward, especially since I'm in the middle of the nature park, and am practically hiding from people. At the same time though I have a lot of fun. I feel ridiculous, and it makes me laugh because of how retarded I feel. Ok enough of my awkwardness. Yesterday was a really good day. My new phone came, and I love love love it! I chose the HTC HD7. It's been fun customizing it to my liking. I'm still learning how to use it, but I'm sure I'll figure out how it works soon enough. Before my phone arrived I had the chance to go to a very special place. I went and did baptisms at the temple. It was my first time going by myself and I was really nervous, but once I got in, it all went so smoothly, and fast. I was in and out within 20 minutes. When I went, I was expecting to be in there for more than an hour. The feeling of being inside that sacred building was so special and strong. I felt so good and at peace. I felt like all of my stresses were gone, and I could relax. That is a wonderful and amazing thing to feel. I'm making it a goal to go every Tuesday for the remainder of the semester and then whenever my day off is when I go back to working full time in the summer. 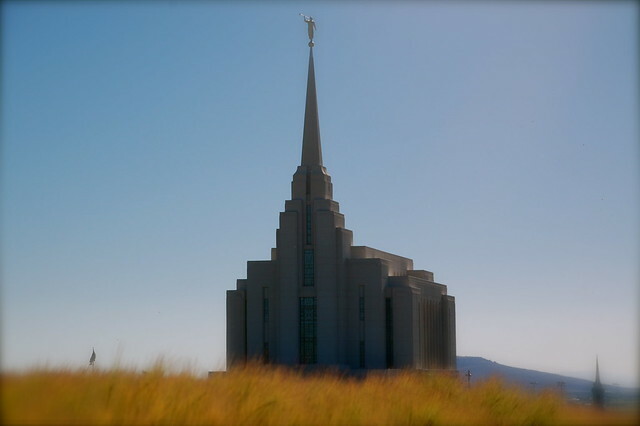 Here in Rexburg we are so blessed to have that beautiful building so close. I don't know why I've never taken the time to go before.